“Fast, Easy, Fun” – A language of Fads. After a half decade or so of taking many peoples time and value…don’t you all think it’s finally time for “Measured, Applicable and Fair” ? Was easy to use when installed and running. The only caveat was the large app install, that took on a wifi a few hrs. Was in Starbucks:) Once installed it looks to be a very good virtual presence/meeting/collaboration application. With some more abilties to control the world as a dynamic place, and your avatar in it, this could be a very powerful tool online. 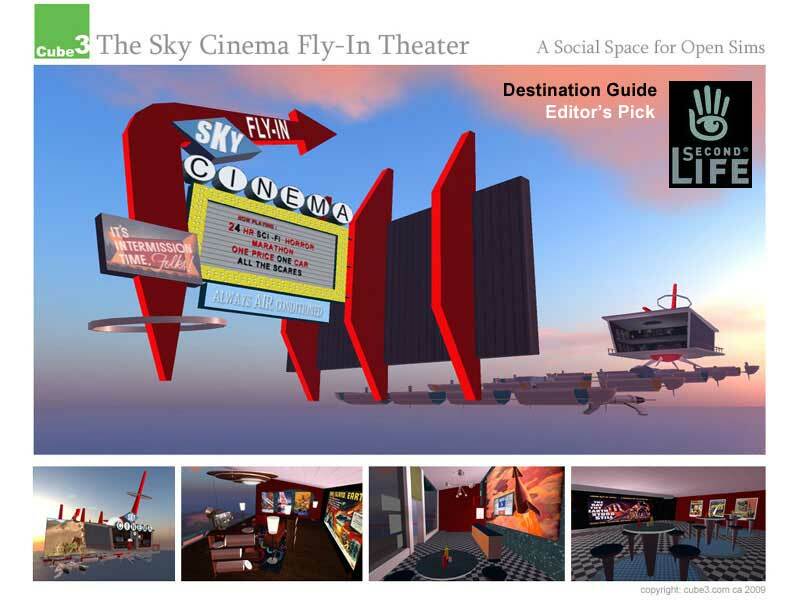 C3 Sky Cinema made a SL Destination Pick of Week. An Updated Cube3 VR Office Campus using 3Dxplorer. 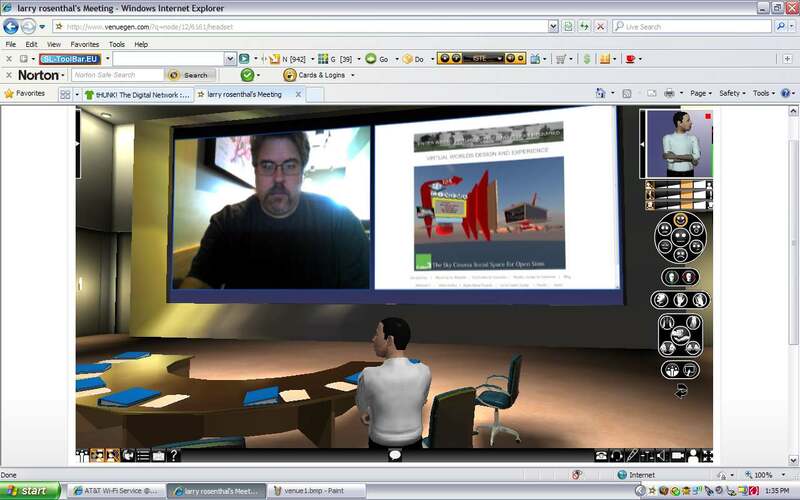 No Plugins needed, Click on the Banner on the Cube3.com Hompage, Enter Offices as a Guest or Register an Avatar.